Potting up a flower garden in a planter can bring a lot of happiness to anyone who is limited by space. All you need is a bit of creativity, a wonderful and properly sized pot, great plants, and good potting soil. Here are a few easy tips. Many people today are downsizing their homes. This doesn't mean you have to give up growing flowers. 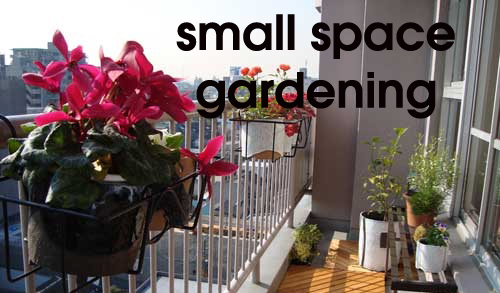 Working on a balcony or a windowsill, a rooftop garden or a small back porch, can be fun and just as rewarding as a large garden area. Start by finding out how much weight your balcony can handle. When it comes to selecting your planter the bigger the better but no if the weight is going to cause issues. This is not the place for concrete planters. Go with clay or glazed or even the lightweight poly resin that is so popular right now. Just find something that you will love to work with that will provide the right depth for the root systems on the plants you choose to pot. Select colors and fragrance of plants that you love. 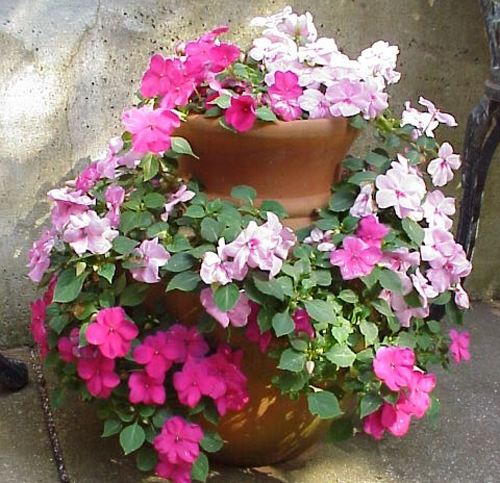 Make sure the pot has enough depth and there is enough soil to support the roots. Try using a combo of planters in different sizes. Pick flowers that don't take over the whole soil area and that are willing to share with others flowers. Pot so that the flowers can be seen from all sides or place the planter under a window that opens so the fragrance will come indoors. If you have space and can support the weight this is a great time to pot up dwarf fruit trees. All you will generally need is a 10 gallon container. Make sure the tree gets the sunlight that may be needed. If you have room use a dolly under the pot so that you can move it around on the balcony. This is the time to experiment to find out what works best in the space you have. Experiment, have fun and don't give up. 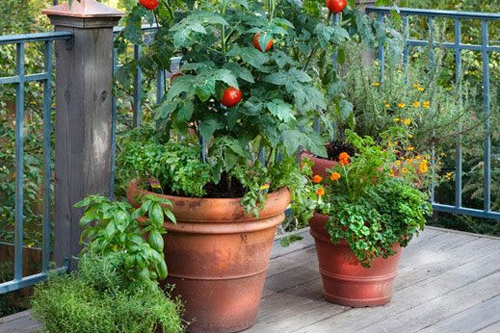 Just because you are living in a smaller space doesn't mean you can't grow wonderful things in a lovely pot!